En Masse Entertainment announced today that the launch of their latest update for Closers, The Pandimensional Update is here. It will feature an increase to the overall level cap, new limited skins, three special community events and more! 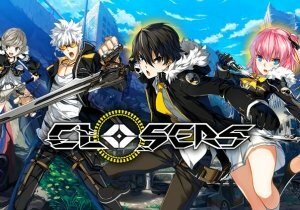 The alternate, pandimensional Closers have come to their world, and after a brief (heated) debate, Closers are turning to their peers to settle the score. Players can vote every two days, which will culminate in the announcement of Best Boy and Best Girl. Every player that votes will receive a code for a free in-game poster featuring the winners, that can be posted in their living areas. It’s also almost time to announce the winner of the Tina versus Harpy character contest. The winner will be revealed on April 3rd! Closers Day: This one day event gives players a variety of in-game buffs and bonuses. Refit Sky Ship Event: From March 20 until April 2, players will be able to get a special support box containing a small plum, soda, three-day versions of accessories such as, crimson rocket wings, Cawdor’s Glaring Eye, and more! Pandimensional Closer Skins: For a limited time only, Pandimensional Closer Skins are available absolutely free on your profile page! Select “Change Character Skin” to change your character portrait and skill cut-ins! Grab these skins while you can, because they’re only available until Monday, April 2, at 10 p.m. PDT. New Level Cap: All currently available characters can now reach level 75! Head to the new Refit Sky Ship sector to work your way up to the new level cap. Earn a celebration box containing a hyper-clocked equalizer, 10 luck stabilizers, and a one-day victory talisman. Craftable Stamina Potions: You can now craft three stamina potions per week, per account! Make sure to use your crafted stamina potions right away; these potions expire after 24 hours.